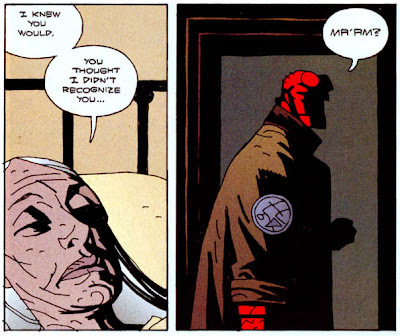 Hellboy's on a case to help an old lady - No more details for you! Buy the book! - at Christmastime. 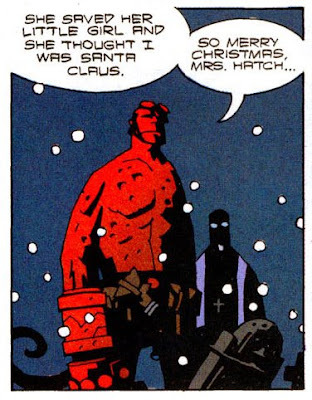 But who does she think he is, other than a giant red detective? That's a super panel-to-panel change. I really should have left them side by side but it would have spoiled the suspense (the incredible suspense!). Man, I love that - the guy has great dialogue out the wazoo. 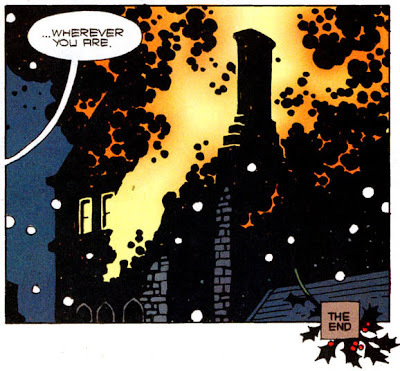 This is one of my favourite short Hellboy yarns, not the least because of that little postscript. 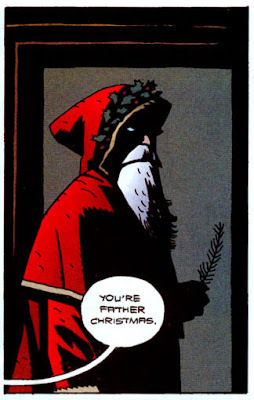 In a very weird way, this is one of the more heartwarming Christmas comics I know.